Today I was able to visit one of my favorite locations, Sloss Furnaces in Birmingham, Alabama. 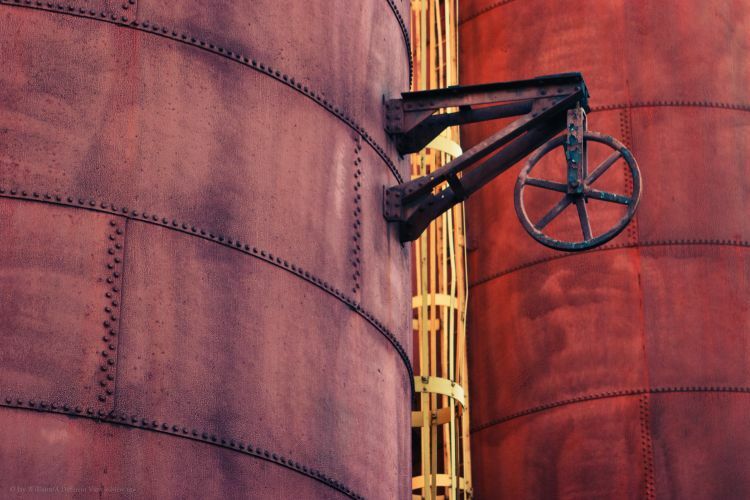 At Sloss, there are so many things you can photograph, it simply boggles the mind. Pictured are two of the six hot blast stoves. When this plant was operational, these stoves were used to heat the air to 1400F, which in tern was used to melt the iron in the blast furnace. Impressive to say the least. I’ve posted some more photos from Sloss on Flickr.